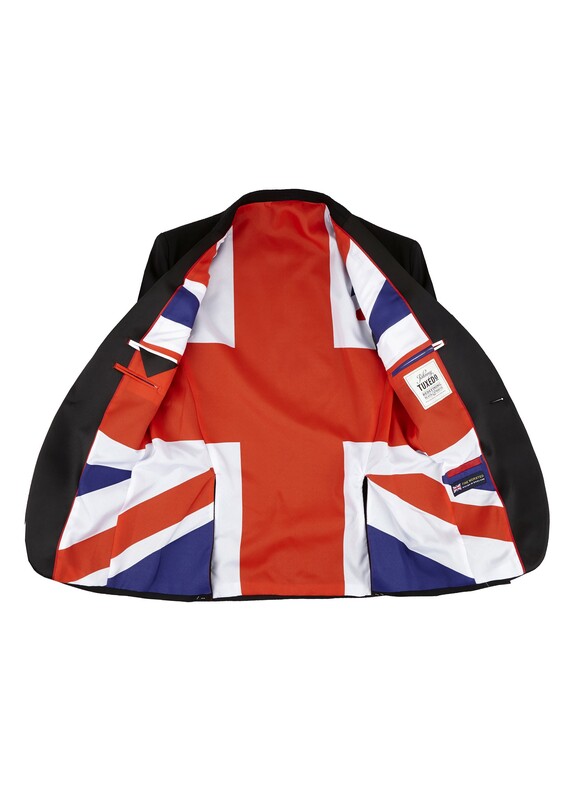 DISCLAIMER This Tuxedo jacket has been made with an amazing Union Jack flag for lining. 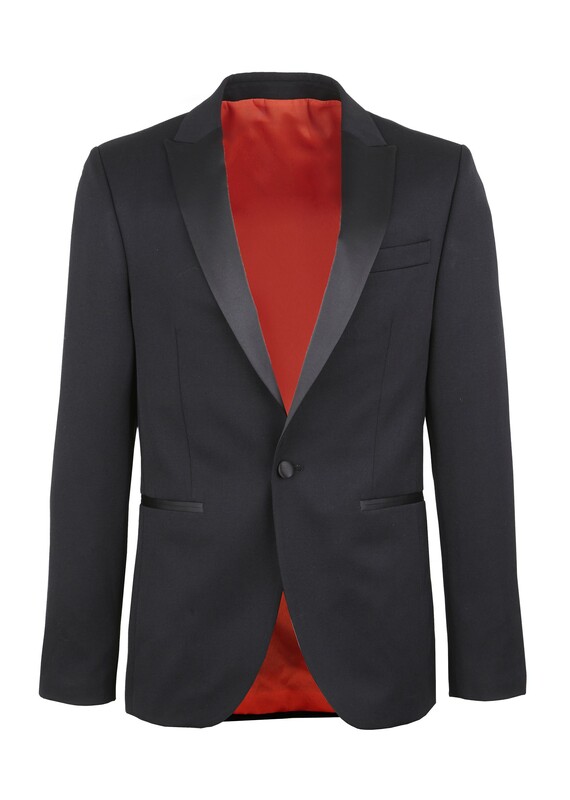 Due to the nature of this feature, some colour may transfer from the jacket to your shirt when wet. It should wash out again but we wanted to warn you about this before making your purchase. Midnight blue not black and 100% wool woven in England - exactly as any Savile Row tailor (or James Bond) would insist upon. 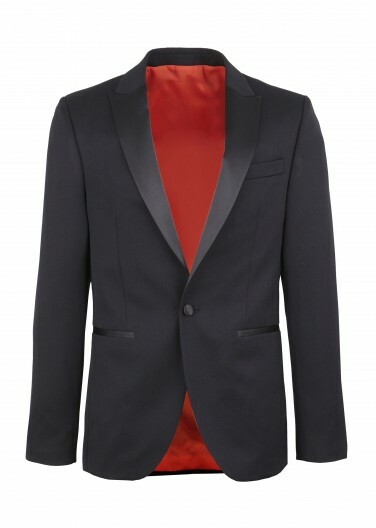 Slim fit, single button, satin peak lapel, side vents and jetted pockets, this jacket has all the classic features but once again we have redefined black and white. 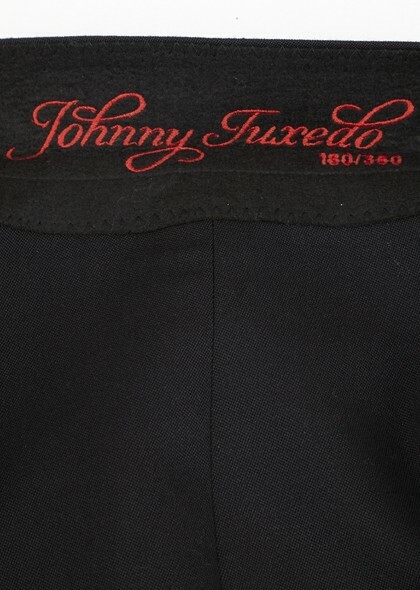 Only 350 suits have been made. 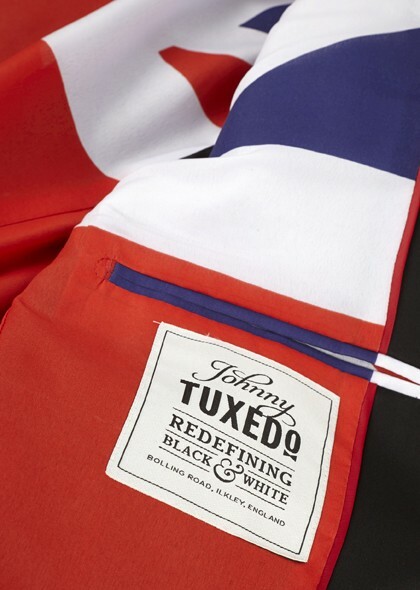 Each Tuxedo Jacket is lined with a Union Jack and embroidered with Johnny’s signature and issue number. When they’re gone, they’re gone.